ePuffer, a brand that's well known in the US is creating quite a stir as eCigarette users switch to a higher quality vaping experience. 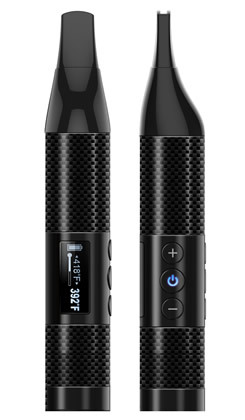 Always with a keen focus on product development, ePuffer put the customer first, manufacturing and designing their electronic smoking devices based on what the customer wants. ePuffer have seen success already with their disposable electronic cigars as customers enjoy the longevity of use along with the taste. 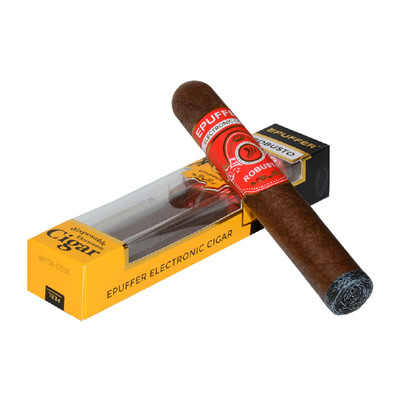 In development, ePuffer worked hard to ensure they replicated the experience of a real Cuban cigar, so customers wouldn't feel like they were sacrificing enjoyment when choosing ePuffer as an alternative to smoking. Although the taste, design and aesthetics of the product have been well received, with many excellent reviews and product awards, customers told ePuffer they wanted a little bit more. They wanted a bigger cigar. That's when the Robusto was born. 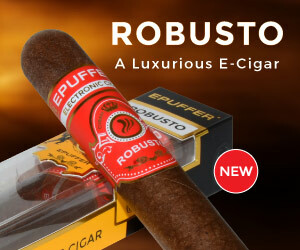 The Robusto is the bigger brother to the electronic cigars already on offer at ePuffer. Yet ePuffer didn't stop there. They saw the manufacturing process as an ideal opportunity to enhance the design further, adding a real cork mouthpiece to mirror the real cigar draw. Retailers are already putting in orders for packs of twelve with the retail display to offer their customers the new sized eCigar in the New Year. Shawn, the man behind ePuffer explains why the whole team are so excited about the launch, he says, “We never stop redesigning, upgrading and enhancing our products as we know that technology changes fast and new opportunities for better vaping experiences come to market every single day. 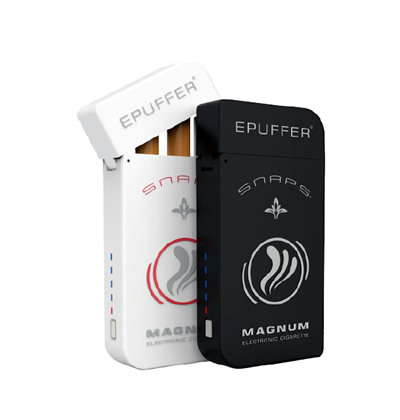 We have a real pride in our electronic smoking devices as we're confident the quality is second to none and the experience delivered pleases every customers who converts to ePuffer. The Robusto is such a game changer for us, as customers are now telling us what they want. They know they love ePuffer and they know we'll produce a high quality product that won't let them down. Coming to us and asking us to develop a new size, instead of picking one already made by a competitor off the shelf speaks volumes, and justifies our product pride." The ePuffer Robusto has been featured in Times Square and already won the Pick of the Month Award from Decorator Dad despite not yet being available to buy. It is available for sale now, just in time for those New Year's Resolutions. About ePuffer Inc. ePuffer are an electronic cigarette developer and retailer that made a splash in the US and is now creating a storm in the UK and Europe. As e-cig market pioneer and technology leader they've accrued many loyal customers who love their approach to product development. Unlike other e-cigarette brands, ePuffer keeps their entire process in house. 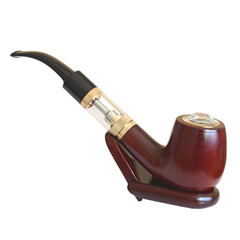 From the design to the manufacture and subsequent sales of their electronic smoking devices.